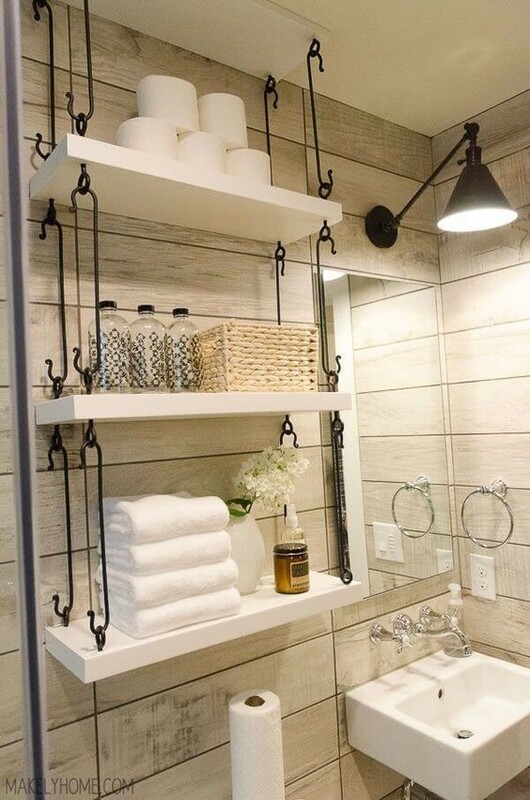 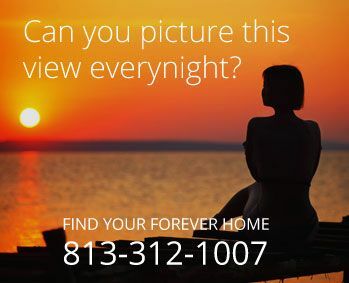 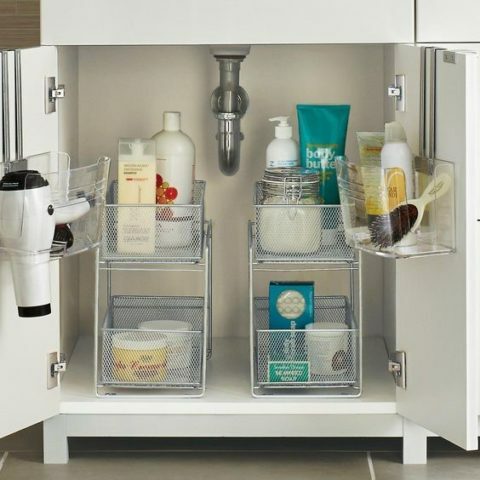 For bathrooms that are lacking in enough cabinetry, adding shelving on the wall or in front of the sink for the smaller necessities – tooth brushes, makeup brushes, Q-tips and cotton balls – help eliminate forcing things to fit in unorganized drawers and off the counter. 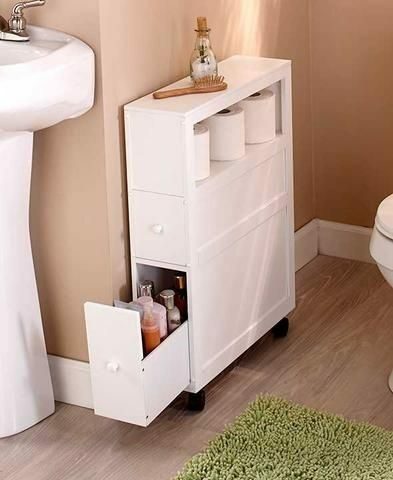 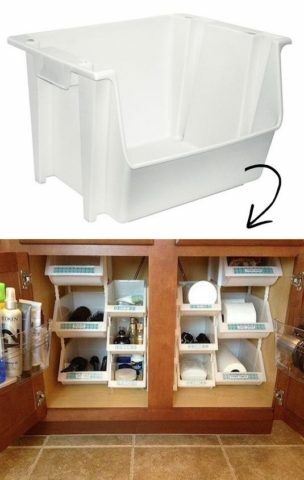 For the things that you need and would keep out of the way that you may not be able to stash under the sink q- shampoo, lotions, bubble bath, toilet paper – try adding a slim cabinet to hug the wall. 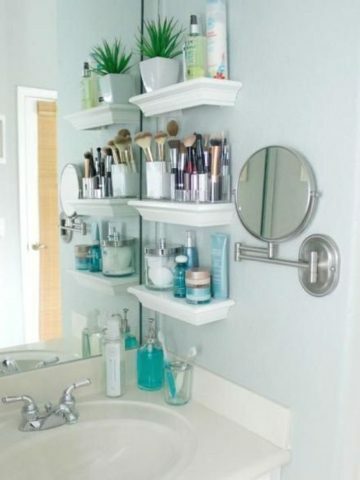 Dress it up by adding a simple air freshener or bath salts for the top of the piece.